AMPs are a protocol that enable webmasters to develop pages that can be quickly loaded via mobile device. With this format, your site can load up to four times more quickly while using eight times less data. Google has already begun favoring sites that have moved to AMPs. With all of this in mind, make sure that your SEO efforts involve making your medical site as mobile friendly as possible. Individuals who use electronic devices to access your site need to be able to do so without complications and confusion. Because content is viewed as an SEO strategy that helps improve your medical company’s level of visibility and prestige, remaining cognizant of new trends in content marketing is imperative. In the last several years, many people have grown accustomed to-and disgusted with-fluff content. This content is vacuous in that it presents little information and is oftentimes a generic replica of a blog post or web article that was already published. Once the nausea induced by the seemingly ceaseless production of fluff content became apparent, there was a big surge in the publication of “epic” content. This content is long and covers topics in a more exhaustive manner. Now that online audiences have been exposed to “epic” content, it seems that the new craze may be dense content. Dense content is a form of content that involves providing the reader with a ton of information in the tiniest amount of space possible. This information can be particularly important for medical sites that include blogs which regularly feature posts with 1,000 words or more. Switching up your content form may attract new visitors and help you win new patients. Keep in mind that the creation of dense content will not be the only strategy you can implement to optimize your content marketing process. For example, focusing on the cultivation of user-generated content can help push your medical practice forward in a powerful way. User-generated content is powerful because it functions as a form of word-of-mouth advertising which shows your prospective clients that other people value your medical brand. For this reason, encouraging satisfied medical clients to write positive reviews about your organization is a good idea. Cross-channel marketing will likely become a big SEO trend in 2017. This marketing process involves developing a consistent presence for the brand across several channels. Taking this course of action ensures that users will be able to easily move between platforms and devices in order to make a purchase or take some other course of action. Cross-channel marketing is an important SEO strategy because it enables you to use several channels simultaneously to optimize and expedite the marketing process. Start Optimizing Your Medical Company’s Online Presence Now! If you’re serious about making your medical company successful in 2017, now is the time to start working towards the realization of that goal. 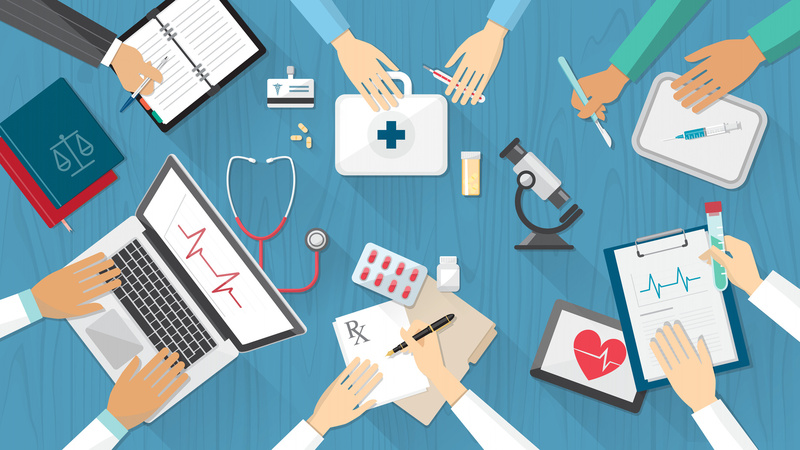 Use the information management and ideas regarding 2017 SEO trends found above to get on the road to optimizing your medical organization’s online presence.